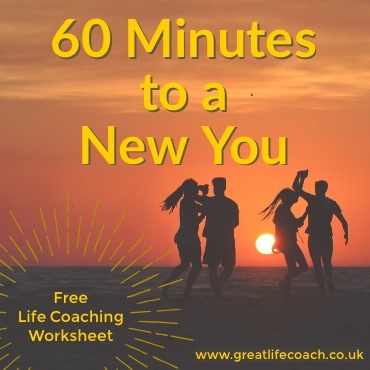 60 Minutes to Plan the New You - Free Coaching Worksheet - Great Life Coach I am pleased to offer this simple personal development resource for freeeee! Are you unhappy, but not sure exactly why? I am pleased to offer this simple personal development resource for freeeee! Are you unhappy, but not sure exactly why? Why not invest up to an hour of your time to explore the underlying reasons for your unhappiness. ​​Give this worksheet a try... It comprises of a simple series of questions that go right to the heart of the matter. Use the link on this page to access the simple sign up form.